Enhance Istio ingress gateway with rate limiting, blacklist/whitelist, distributed firewall and more. 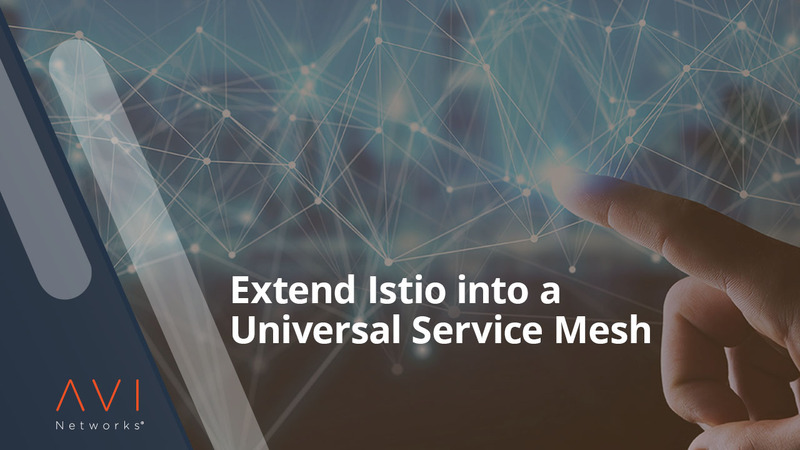 Extend Istio service mesh beyond containers to bare metal servers and virtual machines in a multi-cloud, multi-cluster, multi-region environments. Drive observability and analytics with real-time monitoring, tracing, and application mapping. To view this webinar, fill out the form on this page.